27/10/2006 / Be the first to comment! / Be the first to like this! Jordan Waeles welcomes the new monthly resident guest DJ, DJ Jonno. 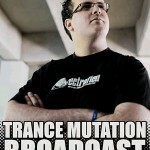 Discover this great DJ with a great set... and enjoy the extra 30 minutes he did exclusively for you, lucky Trance Mutation Podcast listeners! 20/10/2006 / Be the first to comment! / Be the first to like this! 07/10/2006 / Be the first to comment! / Be the first to like this!